Warner De Gooijer, a strategic analyst with Cisco, will be a speaker at the Esri Business Summit. 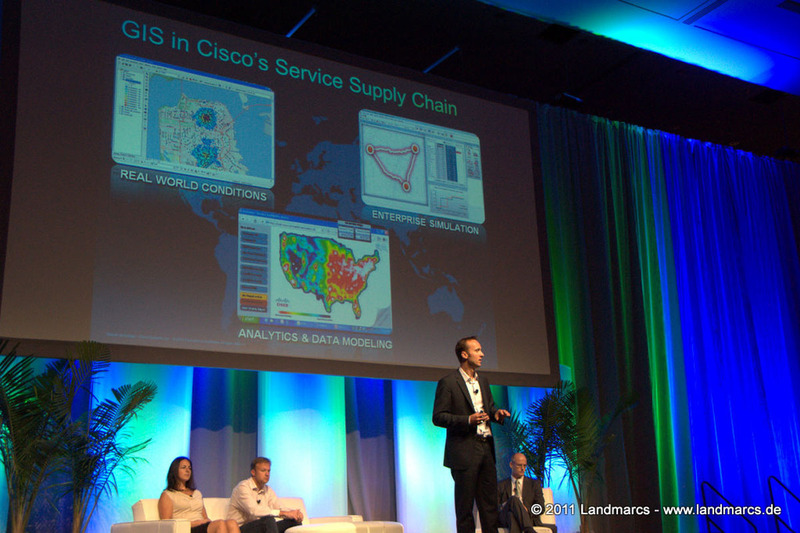 Redlands, California—Esri announces that Warner De Gooijer, a strategic analyst with Cisco Systems, Inc., will be a featured plenary speaker at the Esri Business Summit to be held July 7–9, 2013, in San Diego, California. De Gooijer will be discussing how the Cisco Global Service Supply Chain (GSSC) has integrated the ArcGIS platform, making it easier to do business and provide value to the company. "ArcGIS is a foundational platform for Cisco that globally aligns information transparency and enhances customer intimacy through improved location awareness," said De Gooijer. "Although the rollout is still at an early stage, ArcGIS is already proving its value through improved operational visibility and performance awareness." The Cisco Global Service Supply Chain provides two-hour, four-hour, and next-business-day service delivery offerings to its customers. On-site field engineers and more than 1,100 depots in 128 countries are available for dispatch to make necessary hardware replacements at customers' sites. There are millions of parts on Cisco's service contracts and billions of dollars invested in the organization's spare parts inventory. ArcGIS provides staff with an accurate visualization of Cisco's Global Service Supply Chain footprint and operational capabilities by linking into Cisco's business environment. Customer-to-service depot assignments are automated, making it more efficient to distribute the spare parts inventory. Through this improved visibility of service territories, significant traction has been made in eliminating coverage overlaps, removing service gaps, and optimizing the service part delivery network. "Cisco continues to be one of Esri's most innovative and advanced users of supply chain analysis and visualization solutions," said Simon Thompson, director, commercial solutions, at Esri. "It is an example of how to more effectively model and manage the supply chain, reducing risk as well as costs while improving customer benefits. It's a story that everyone should hear." Come to the Esri Business Summit and hear how Cisco and other organizations, including Darden, the Shopping Center Group, Cirque du Soleil, and Sustainable WasteResources International, use location analytics to run their businesses better. For more information on how Esri helps organizations with marketing around the world, visit esri.com/retail.